An important component in overcoming blastocystosis is to eat wholesome, well prepared, organic foods. There are ingredients to avoid, at least for the few two weeks, when going on a parasitic-focused diet. Fluids, minerals, and salt in the body is lost with diarrhea, and cause a risk for dehydration. Drink plenty of water and electrolytes if one of your symptoms is diarrhea. If possible, use high-quality filtered water. Avoid straight tap water. If this is difficult, boil water and let cool down before consuming. Use chlorine or iodine can be used sparingly to disinfect water. Water should be consumed throughout the day, as this helps naturally flush and detoxify the body. If you’re worried about contaminated water, and do not have a filtration system, you can boil water on high for 1-2 minutes and then let cool to a drinking temperature. Vegetables: greens, carrots, beets, and other options help the body’s natural detoxification process, assist healthy immune function, and deliver important vitamins and minerals. Only buy organic, preferably local produce like lettuce to avoid potential contamination. Soak vegetables in purified water for at least 20 minutes before washing thoroughly. Steamed vegetables are great for easy digestion. Fruits you peel yourself: avocados, bananas, and melons are a few options where cutting open or peeling fruit ensures no direct contact with contaminants. Wash your fruit before cutting, as knives can pass pesticides and other contaminants from skin into the meat or flesh. Hot Meals: Cooked foods destroy contaminants and are easier for the body to digest. Avoiding foods can be difficult, if not impossible. Certain substances such as sodas should be completely cut out of the diet, while others options, such as pasta, may be used sparingly later on–depending on your personal healing process. Simple carbohydrates: found in refined foods, juices, fruits, and dairy products, these are food for parasites and candida. Sugars: with the exception of honey and occasional fruits such as bananas, avoid any natural sources or added sugars. 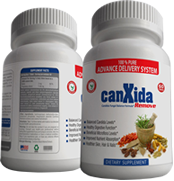 They feed parasites and candida, and can cause further inflammation in the intestinal lining. Undercooked meats: including fish, shellfish, and all animal sources, if they are not well-done, there is a risk of contaminants. Unpasteurized Ingredients: Juices and dairy products that are unpasteurized are usually ideal for purity, however they also risk having contaminants. Anything Sitting Out for Awhile: Buffets, left out dips or sauces, or even unrefrigerated vegetables or fruits are prone to becoming contaminated or developing mold. Unpeelable produce: Grapes, tomatoes, and berries are just a few ingredients where, if you can’t peel them, you risk contaminants. Alcohol: alcohol converts to sugar, causes inflammation in the intestinal lining, and slows down immune function when consumed often. The amount of time you must maintain your diet depends on how severe your symptoms are, how long you believe you’ve had blastocystosis, and whether or not you have other conditions such as leaky gut or a yeast infection. For an effective cleanse, supplementation is often needed. I’ve written a separate article, Natural Treatment for Blastocystis Hominis, that covers supplements and herbs to take.